We have discovered that to participate in all of our outdoor activities, we needed vehicles that could take us there, carry all our gear, tow our sailboat, and also be just plain fun. Jeeps have fit the bill in all ways. From our first Jeep Liberty 4x4 in 2003, we've had a 2004 Rubicon, a 2005 Grand Cherokee, and a 2006 Grand Cherokee. The newest addition is a 2014 Wrangler Rubicon X and we're very excited about it! Sometimes our Jeeps are used for our outdoor pursuits, and sometimes it is just fun to take one and have a Jeep adventure of it's own. Either way, follow along as we take our Jeeps to the limit while exploring and experiencing the outdoors. 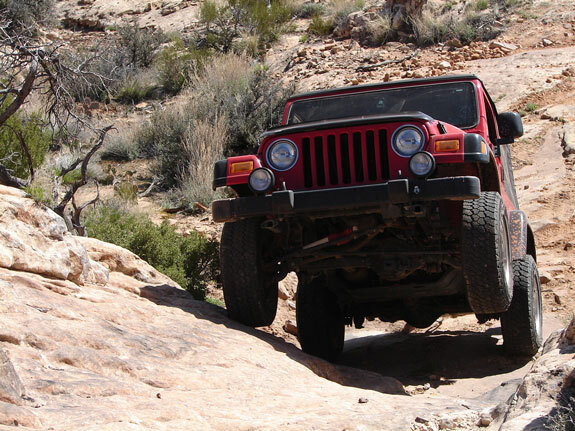 Video of the Arch Canyon Jeep Jamboree in Southeastern Utah. The highlight of this event was Mark Smith, the originator of the Jeep Jamboree. 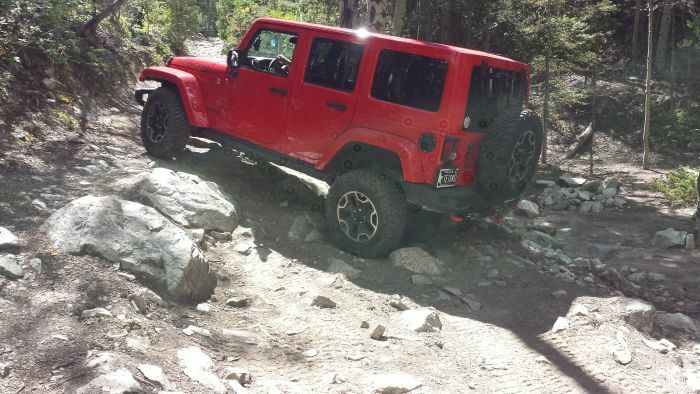 Our new 2014 Rubicon X on the Lake Como road in Colorado. 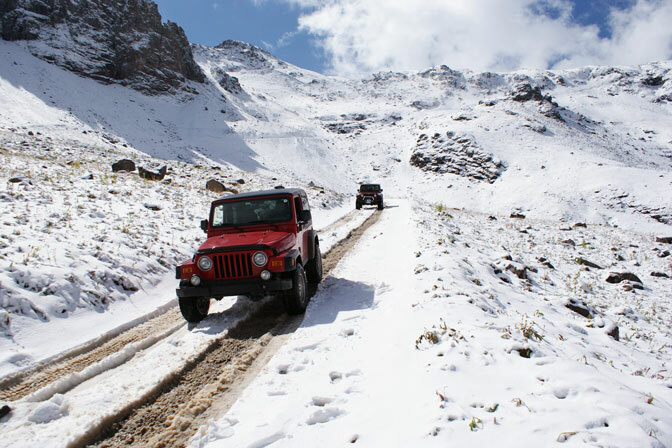 This is supposedly the roughest road in Colorado and our new Rubicon handled it with ease! 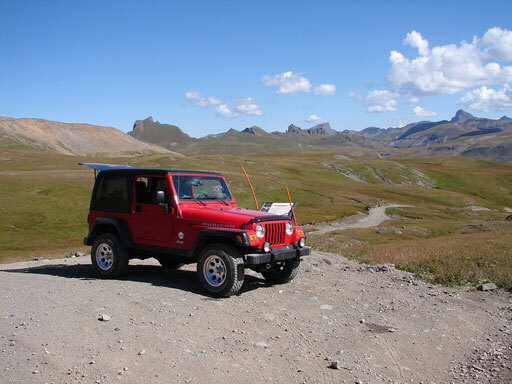 Heading down the north side of Imogene Pass, Colorado. A minor obstacle on the Corkscrew Gulch near Ouray, Colorado. This "road" to Hotel Rock near Arch Canyon, UT is rated a "9". 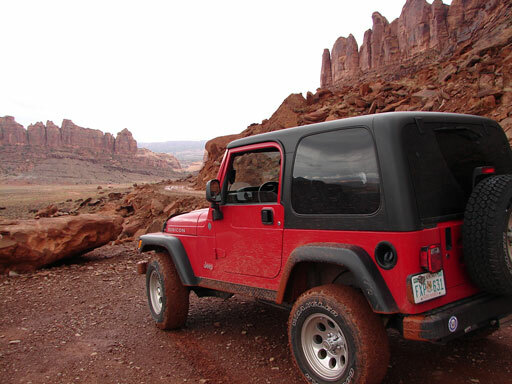 Moab, Utah is a great Jeep destination, plus, you can hike, bike, and rock climb. 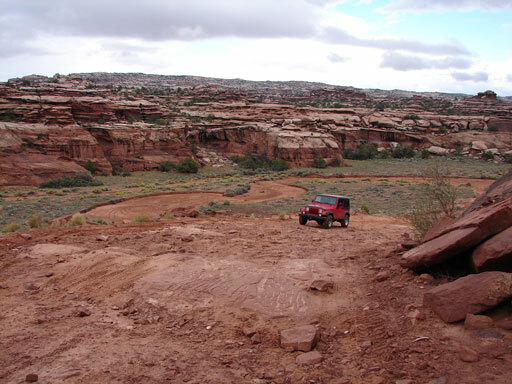 The beautiful scenery never ends in Moab as we off-road near Gemini Bridges. 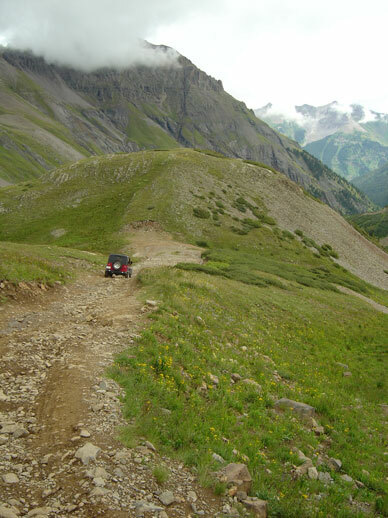 The San Juan mountains near Ouray, Colorado offers some of the best Jeep trails in the country. Alan and climbing partner, Andy Leach, enjoy a day in Yankee Boy Basin near Mt. Sneffels. Heading down the mountain near Mt. Sneffels, Colorado. Any off-road trip requires some planning in advance. Your Jeep should be up to date with routine maintenance, and you may want to tune up your Jeep with some Partsgeek accessories. The little town of Disney, Oklahoma has a fantastic off-road park. 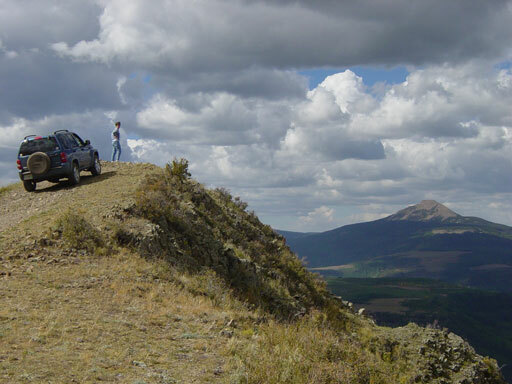 Jackie enjoys the view of the San Juan range in Colorado with our 2003 Liberty 4x4. 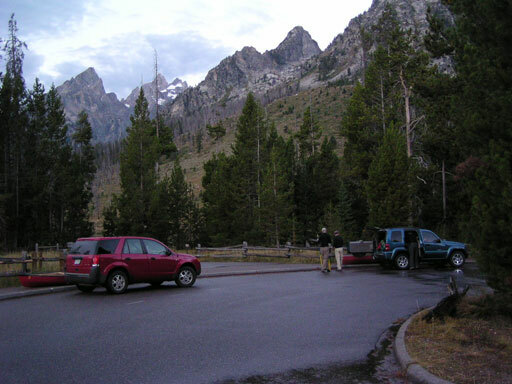 Grand Teton National Park prior to their ascent of Mt. Moran in the Teton Range of Wyoming. 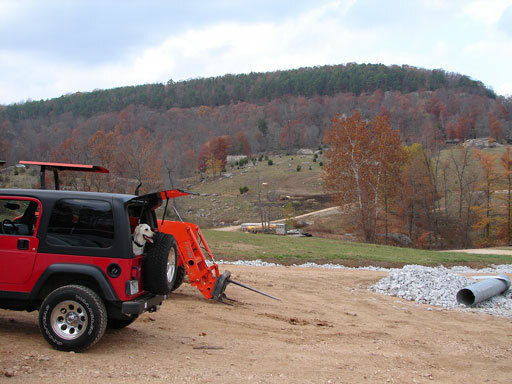 Our dog Scout waits patiently while we sort rock climbing gear at Horseshoe Canyon, Arkansas. 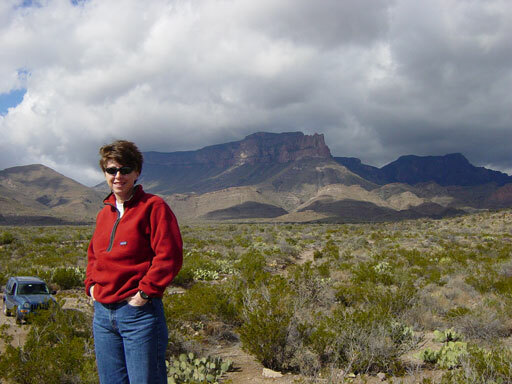 Jackie strikes a pose near the Chisos Mountains at Big Bend National Park, Texas. 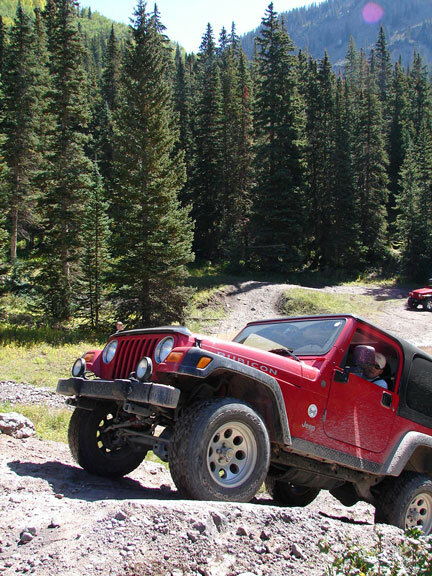 In addition to hiking and climbing, there are over 200 miles of Jeep trails to explore. The Grand Cherokee 4x4 is perfect for off-roading on the prairie plains of western Oklahoma. 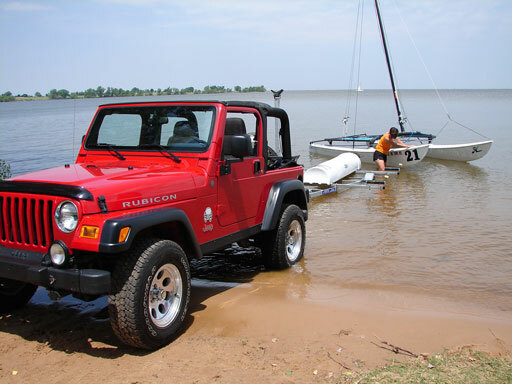 The Rubicon helps get the sailboat off and on the beach. 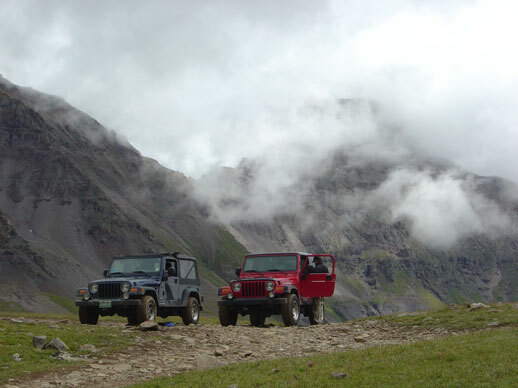 Engineer Pass in the San Juan Mountains of Colorado. Check out this video which we shot at the Jeep Jamboree at Hot Springs, Arkansas.